USA's Lynn Williams and France's Griedge Mbock Bathy battle for the ball during the 2018 SheBelieves Cup. Alex Morgan. 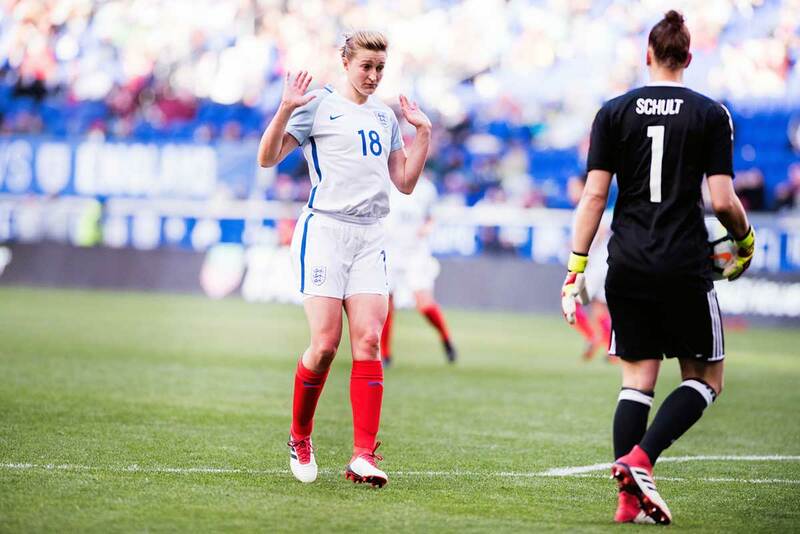 England's Ellen White during the 2018 SheBelieves Cup. England's Ellen White says hello to Germany's Almuth Schult. 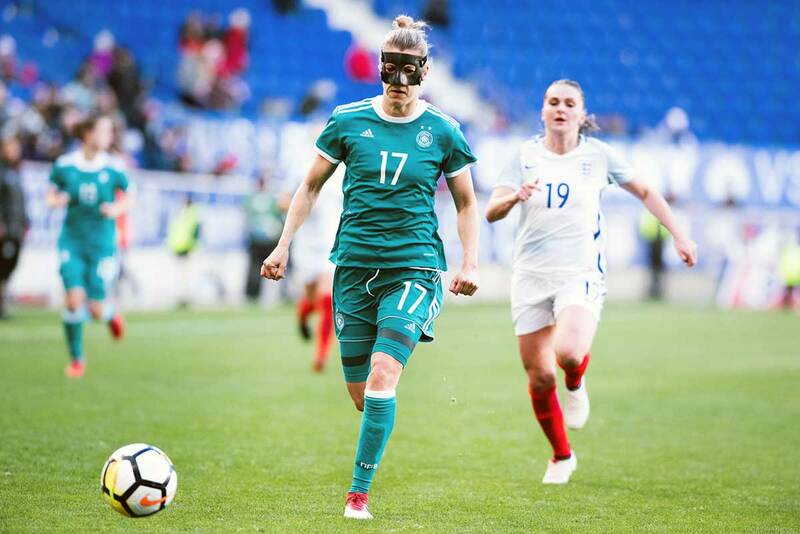 Germany's Svenja Huth during the 2018 SheBelieves Cup. Germany's Verena Faisst making a getaway during the 2018 SheBelieves Cup. Germany during the 2018 SheBelieves Cup. Defender Lucy Bronze during the 2018 SheBelieves Cup. 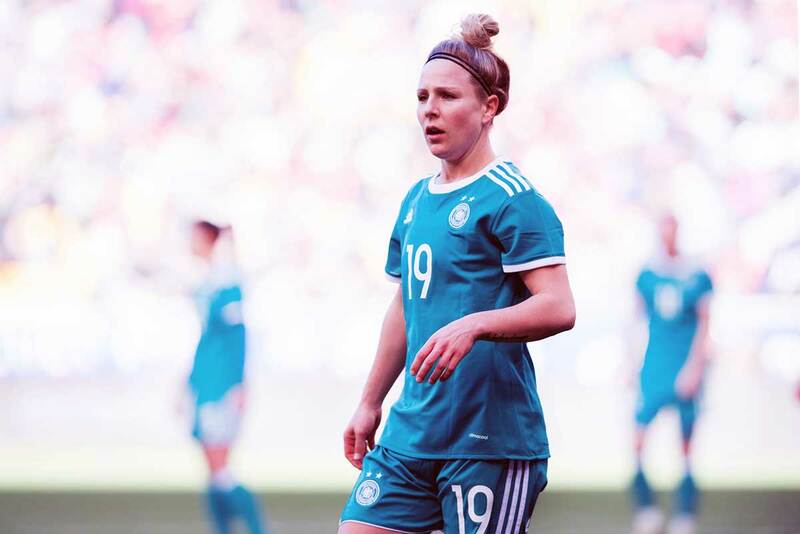 Germany's Alexandra Popp during the 2018 SheBelieves Cup. England's Nikita Parris and Germany's Lena Goessling during the 2018 SheBelieves Cup. USA's Sofia Huerta during warm-ups at the 2018 SheBelieves Cup. 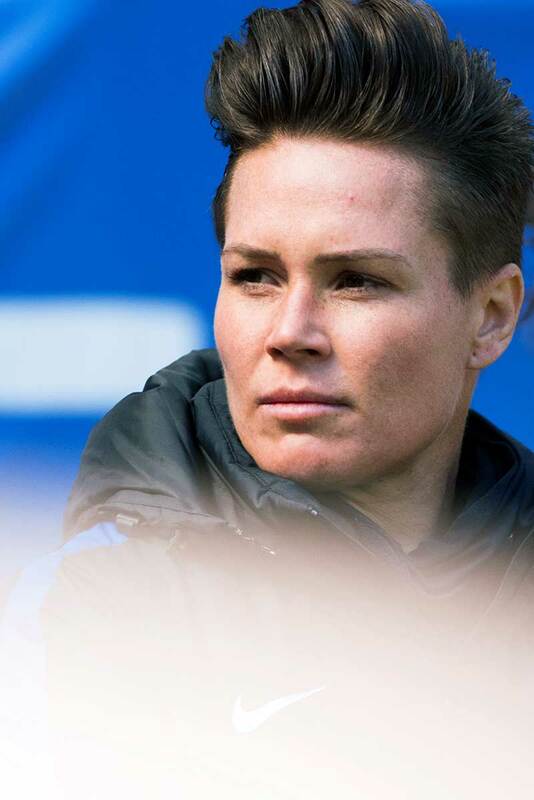 Goalkeeper Ashlyn Harris during the 2018 SheBelieves Cup. France's Amel Majri and the USA's Lynn Williams vie for the ball during the 2018 SheBelieves Cup. The U.S. Women's National Hockey Team greets the U.S. Women's National Soccer Team during warmups at the 2018 SheBelieves Cup. 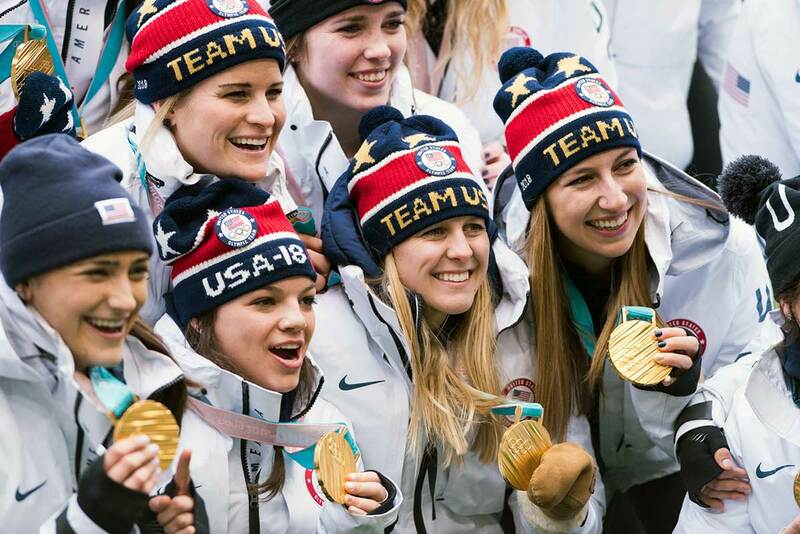 Members of the gold-medal winning U.S. Women's National Hockey Team are honored at the 2018 SheBelieves Cup. Megan Rapinoe in action against France at the 2018 SheBelieves Cup. The Olympic gold-medal winning U.S. Women's National Hockey Team before the 2018 SheBelieves Cup. 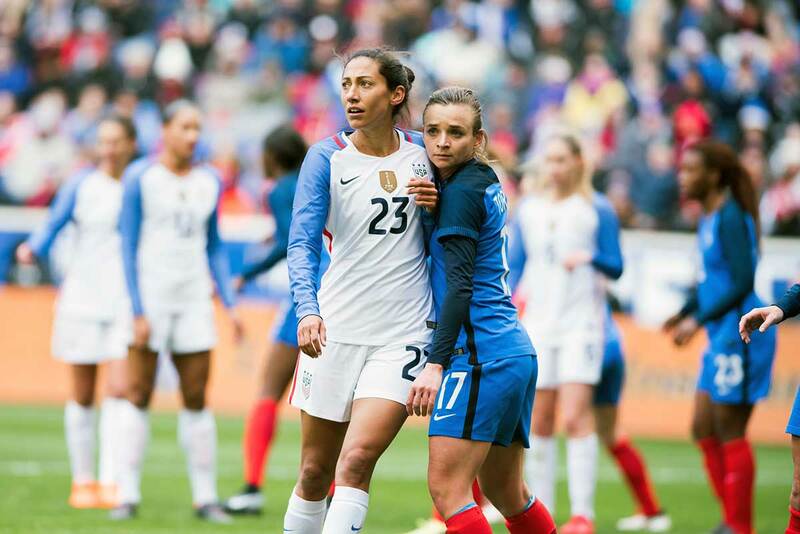 USA's Christen Press and France's Marion Torrent get to know one another during the 2018 SheBelieves Cup. USA's Savannah McCaskill. Yeah, we're not sure either. Hilary Knight, of the gold-medal winning U.S. Women's National Hockey Team, before the USA's match against France at the 2018 SheBelieves Cup. 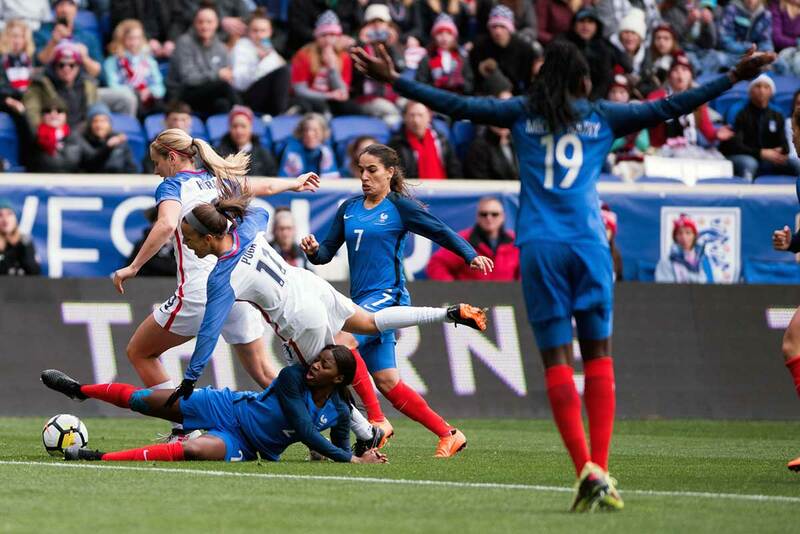 Action during the USA-France match at the 2018 SheBelieves Cup. 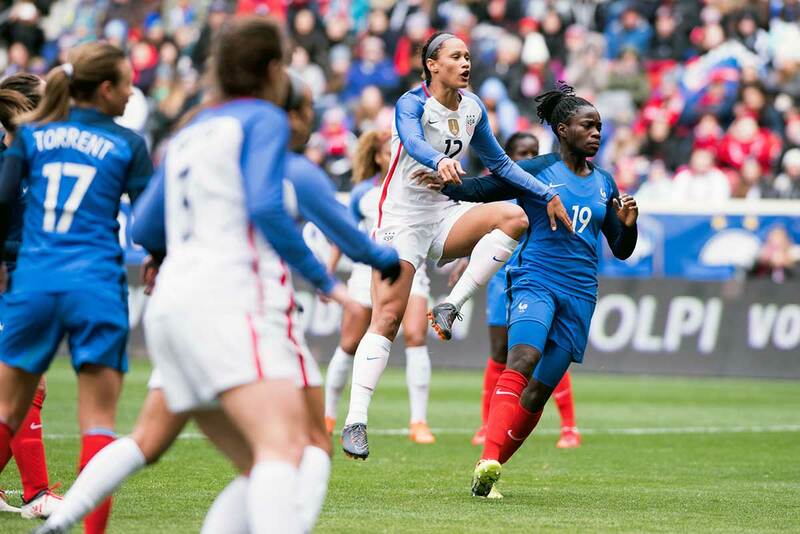 France's Gaëtane Thiney controls the ball during the 2018 SheBelieves Cup. 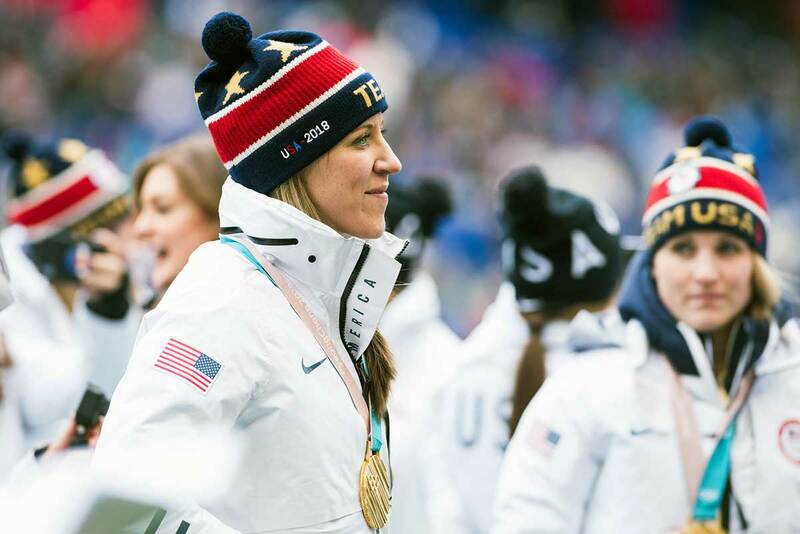 Meghan Duggan, member of the gold-medal winning U.S. Women's National Hockey Team, at the 2018 SheBelieves Cup. 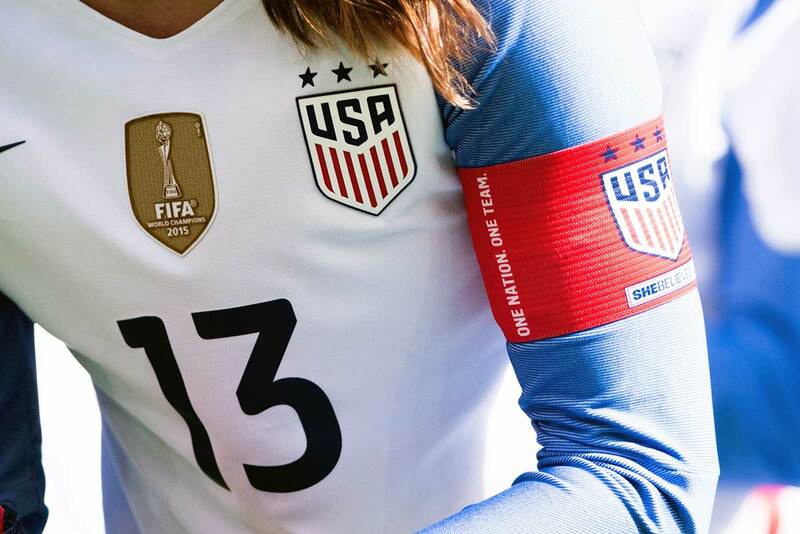 Alex Morgan wearing the captain's band at the 2018 SheBelieves Cup. 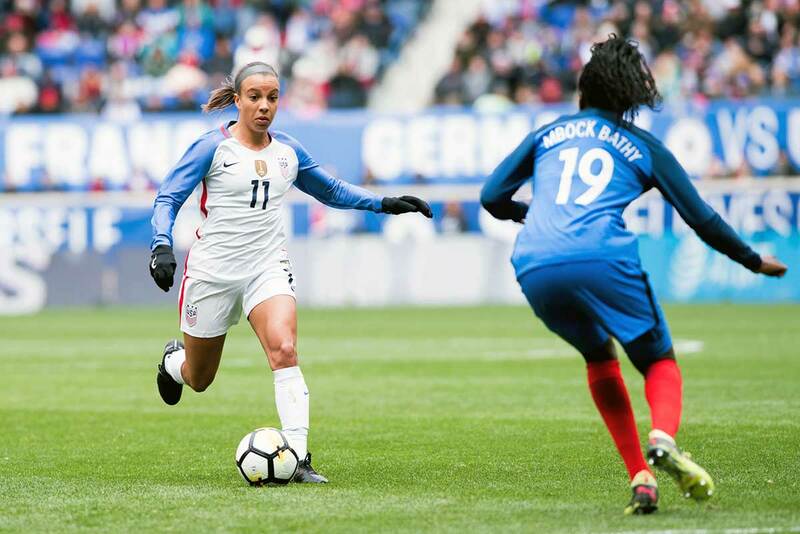 USA's Mallory Pugh takes on France's Griedge Mbock Bathy during the 2018 SheBelieves Cup. Julie Ertz during warm-ups at the 2018 SheBelieves Cup. Alyssa Naeher and Meghan Duggan at the 2018 SheBelieves Cup. 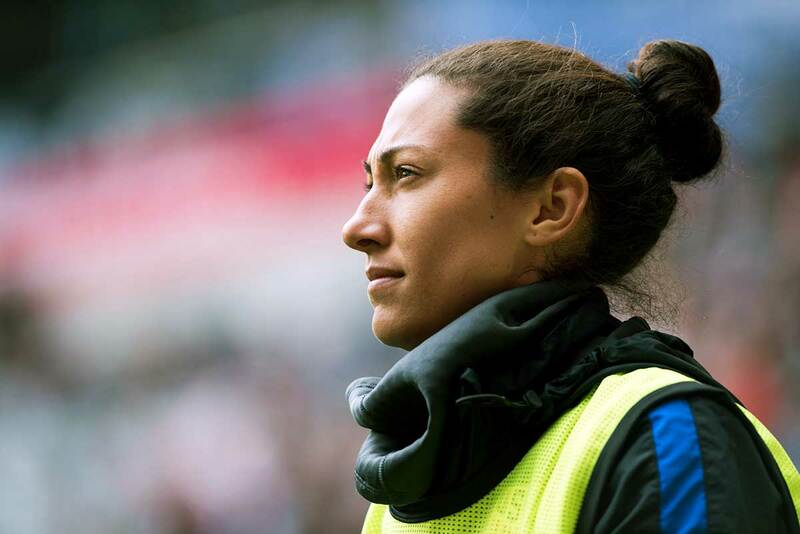 USA's Christen Press during warm-ups at the 2018 SheBelieves Cup. Tierna Davidson and Andi Sullivan at the 2018 SheBelieves Cup. Six on Six crime. USA's Morgan Brian and France's Amandine Henry battle for the ball during the 2018 SheBelieves Cup. Kelley O'Hara, Megan Rapinoe, and Andi Sullivan celebrate Mallory Pugh's goal (11) during the 2018 SheBelieves Cup. Carli Lloyd during the 2018 SheBelieves Cup. France's Amandine Henry during the 2018 SheBelieves Cup. 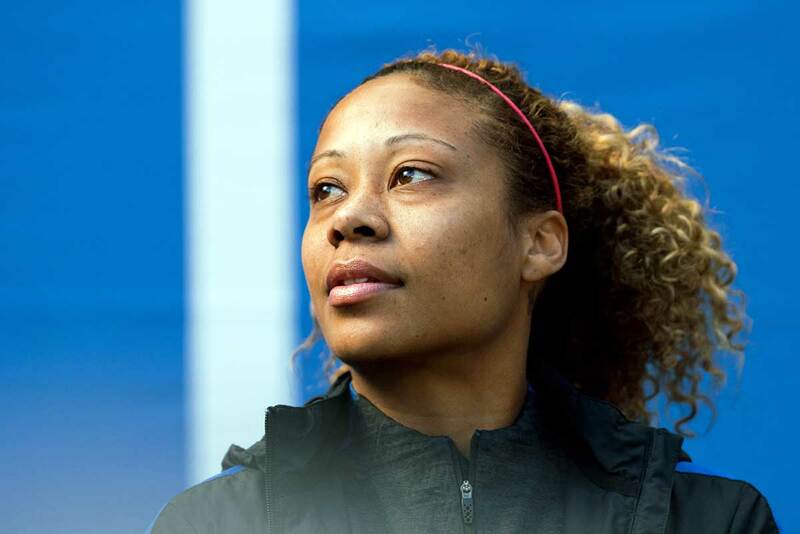 USA's Casey Short during warm-ups at the 2018 SheBelieves Cup. USA's Kelley O'Hara takes on France's Eugénie Le Sommer during the 2018 SheBelieves Cup. The U.S. Women's National Team celebrates after a goal at the 2018 SheBelieves Cup. We see you, too, Moe. USA's Alyssa Naeher during warm-ups at the 2018 SheBelieves Cup. 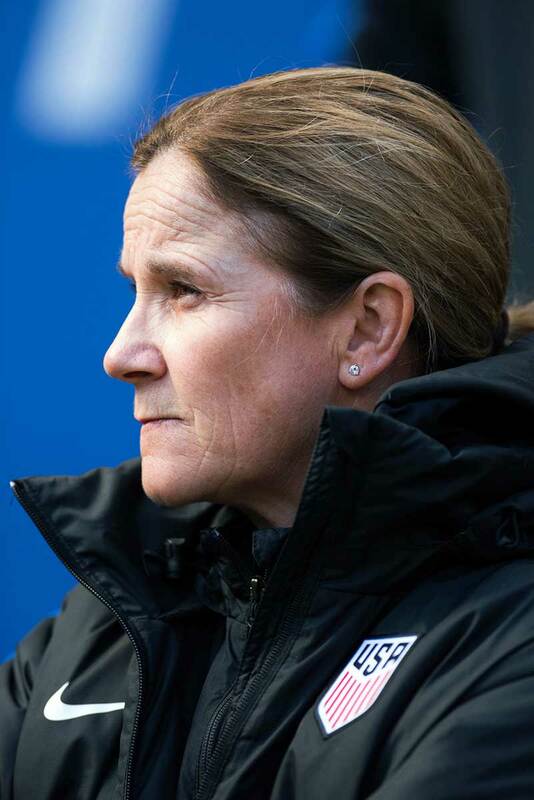 U.S. head coach Jill Ellis. 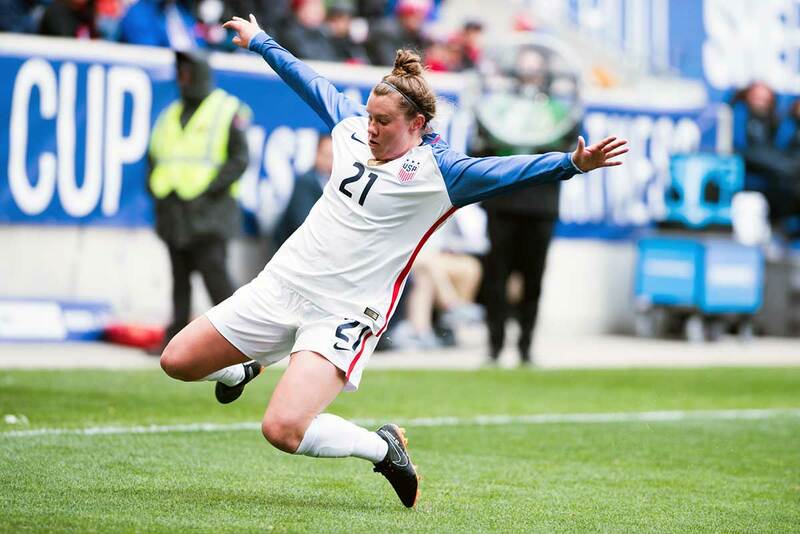 The second matchday of the 2018 SheBelieves Cup ended in two draws: a 1-1 affair between the U.S. and France, and a 2-2 battle between England and Germany. In the first of the two-parter, the U.S. opened up the scoring via a Mallory Pugh goal in the 35th minute. Pugh found the back of the net after the ball bounced out to her at the top of the box off a corner kick. France answered roughly three minutes later when Eugénie Le Sommer ran onto a gorgeous pass from Griedge Mbock Bathy and beat both defender and goalkeeper to equalize. Germany’s Hasret Kayikçi opened the scoring in the 17th minute but England’s Ellen White answered a minute later in the day’s second match. 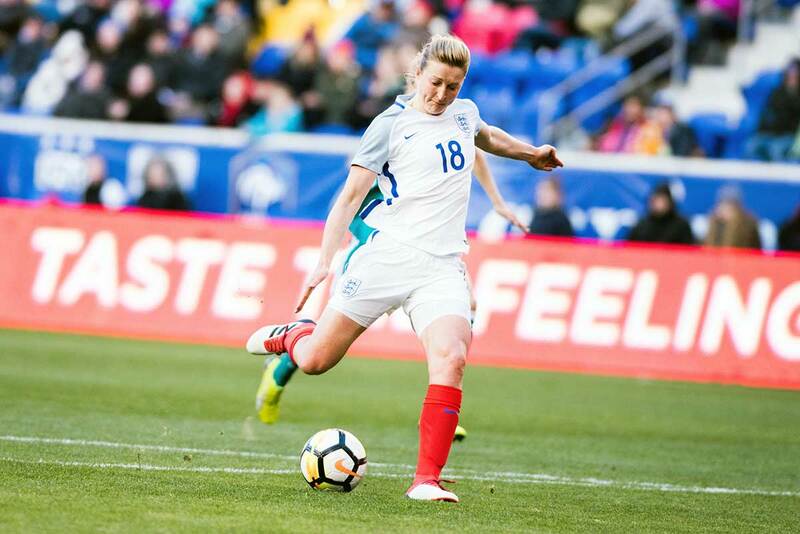 An own goal by Millie Bright in the 51st minute put Germany up but it was White again in the 73rd to equalize for the Lionesses. Heading into the final matchday, England sits atop the table due to goal differential with the U.S. in second, setting up a deciding contest for the cup between the teams in Orlando, Florida, on Wednesday, March 7. 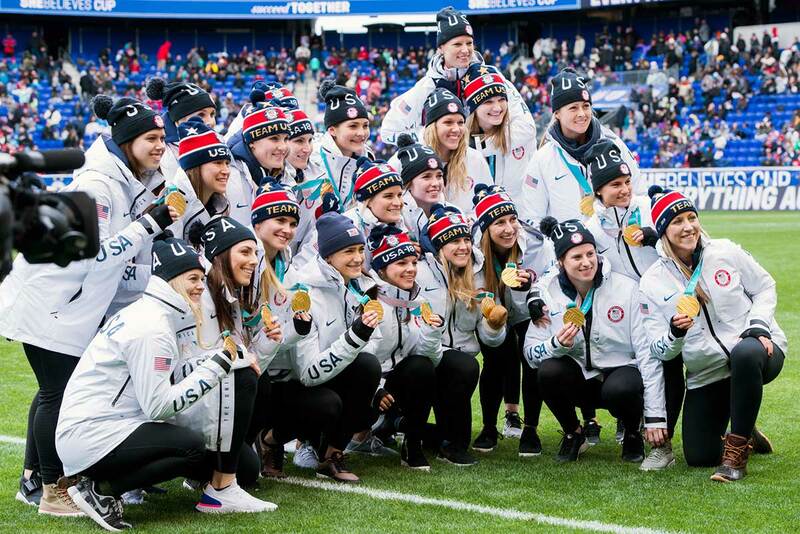 The 2018 Olympic champion U.S. Women’s National Ice Hockey Team was honored at halftime of the USA-France match and members were on the field for pregame warm-ups. USA’s Lynn Williams and France’s Griedge Mbock Bathy battle for the ball during the 2018 SheBelieves Cup. England’s Ellen White during the 2018 SheBelieves Cup. England’s Ellen White says hello to Germany’s Almuth Schult. Germany’s Svenja Huth during the 2018 SheBelieves Cup. Germany’s Verena Faisst making a getaway during the 2018 SheBelieves Cup. 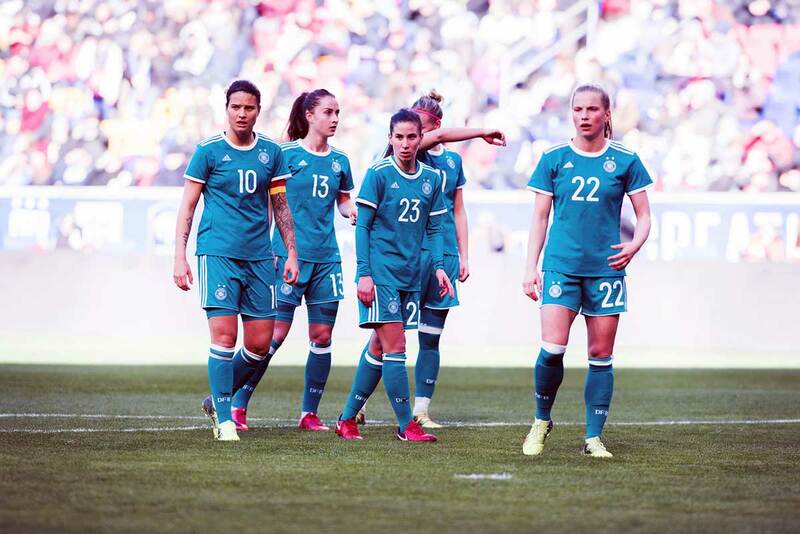 Germany during the 2018 SheBelieves Cup. 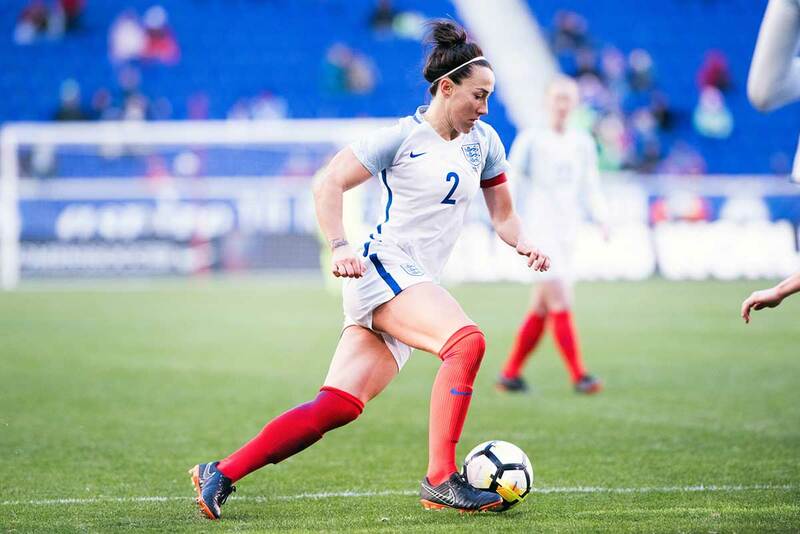 Defender Lucy Bronze during the 2018 SheBelieves Cup. 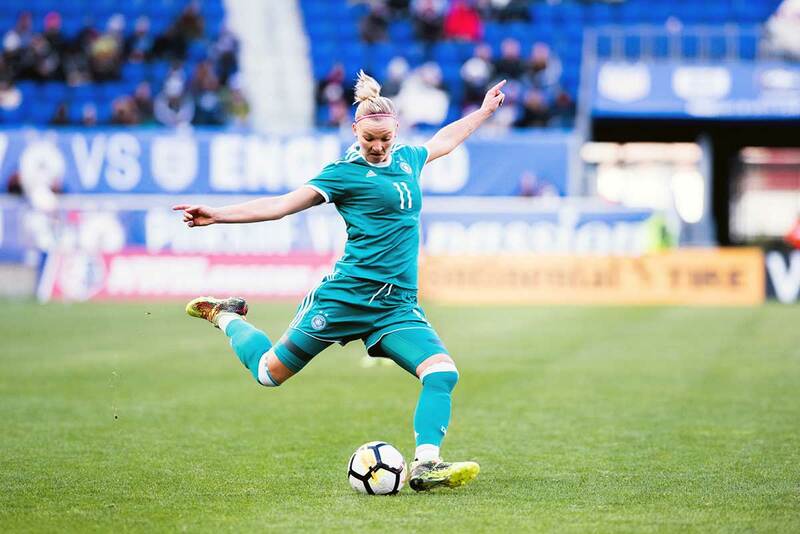 Germany’s Alexandra Popp during the 2018 SheBelieves Cup. 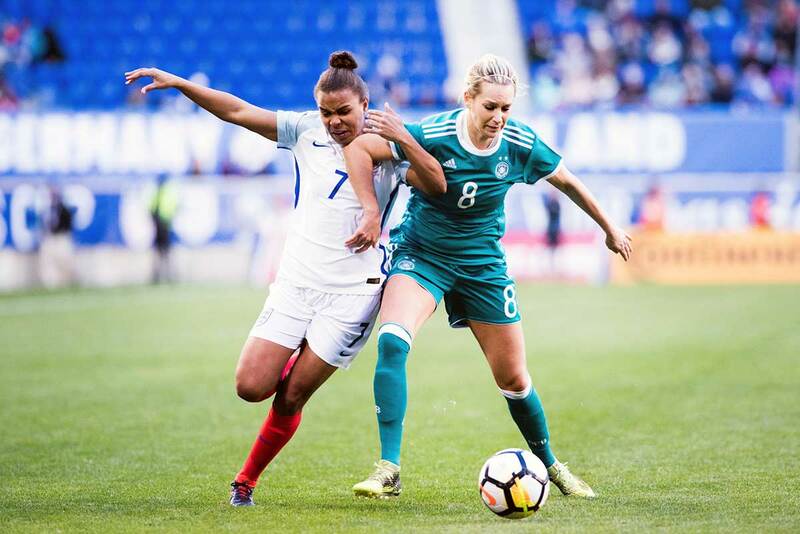 England’s Nikita Parris and Germany’s Lena Goessling during the 2018 SheBelieves Cup. USA’s Sofia Huerta during warm-ups at the 2018 SheBelieves Cup. 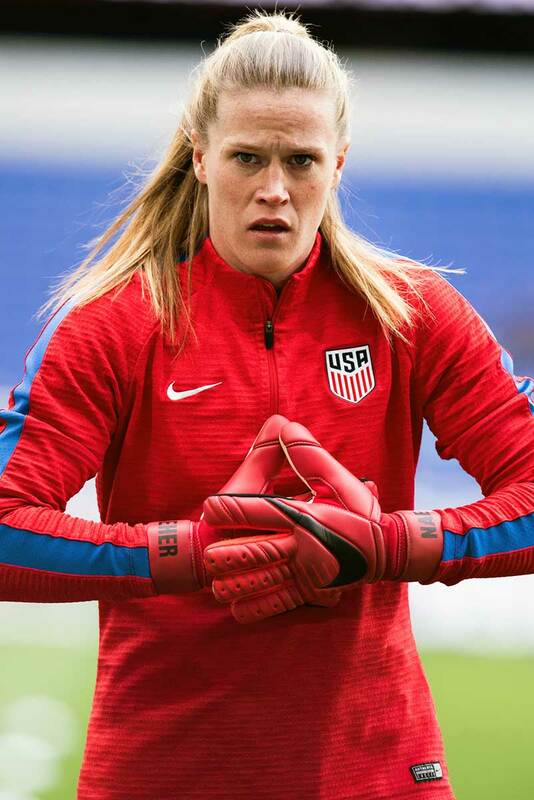 Goalkeeper Ashlyn Harris during the 2018 SheBelieves Cup. France’s Amel Majri and the USA’s Lynn Williams vie for the ball during the 2018 SheBelieves Cup. 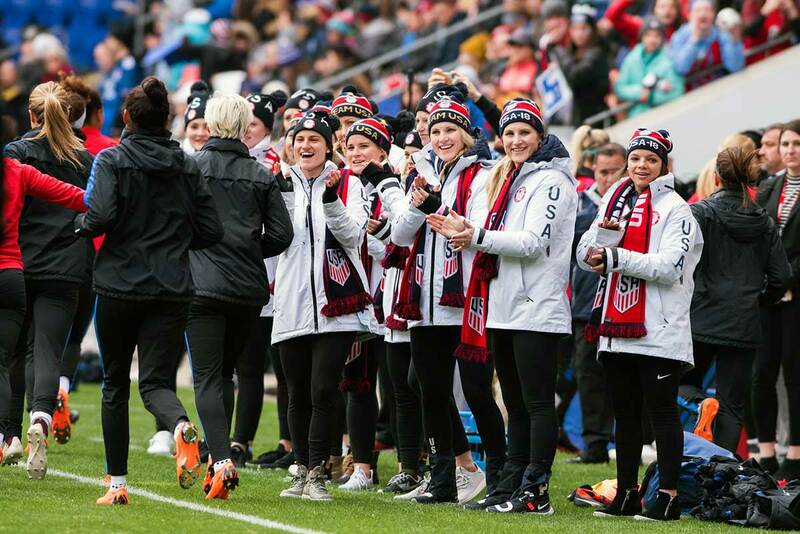 The U.S. Women’s National Hockey Team greets the U.S. Women’s National Soccer Team during warmups at the 2018 SheBelieves Cup. Members of the gold-medal winning U.S. Women’s National Hockey Team are honored at the 2018 SheBelieves Cup. 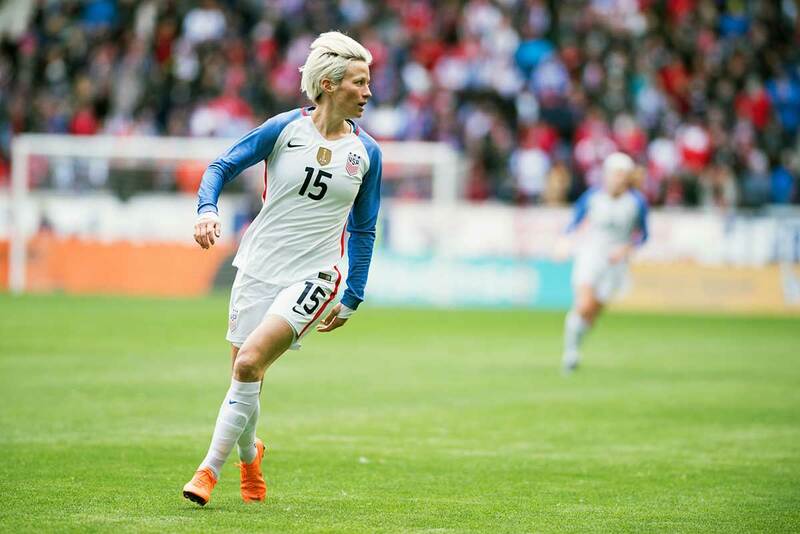 Megan Rapinoe in action against France at the 2018 SheBelieves Cup. The Olympic gold-medal winning U.S. Women’s National Hockey Team before the 2018 SheBelieves Cup. USA’s Christen Press and France’s Marion Torrent get to know one another during the 2018 SheBelieves Cup. USA’s Savannah McCaskill. Yeah, we’re not sure either. 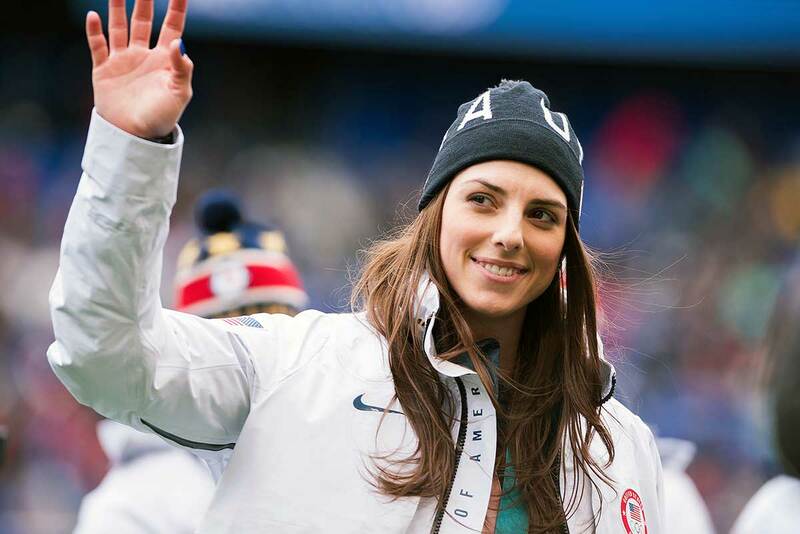 Hilary Knight, of the gold-medal winning U.S. Women’s National Hockey Team, before the USA’s match against France at the 2018 SheBelieves Cup. 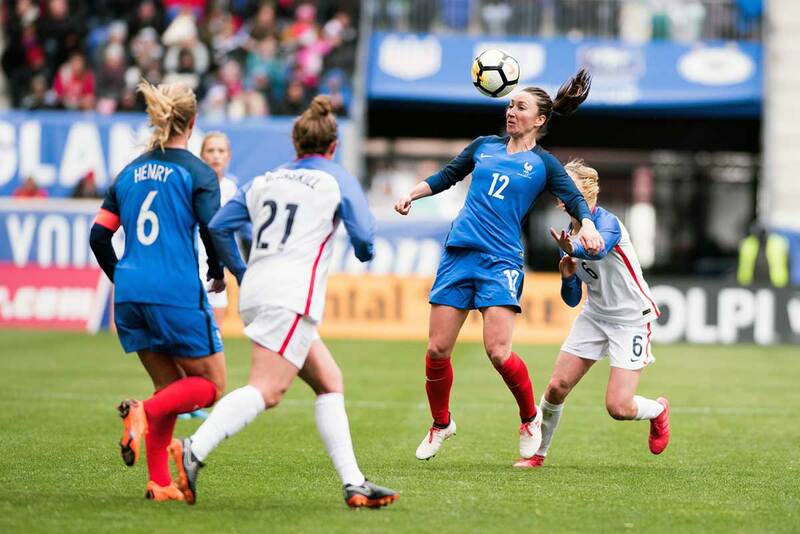 Action during the USA-France match at the 2018 SheBelieves Cup. 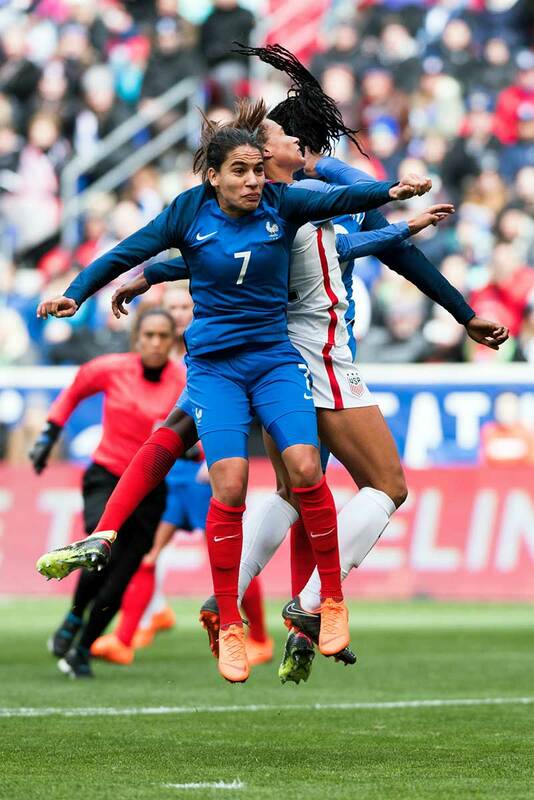 France’s Gaëtane Thiney controls the ball during the 2018 SheBelieves Cup. Meghan Duggan, member of the gold-medal winning U.S. Women’s National Hockey Team, at the 2018 SheBelieves Cup. 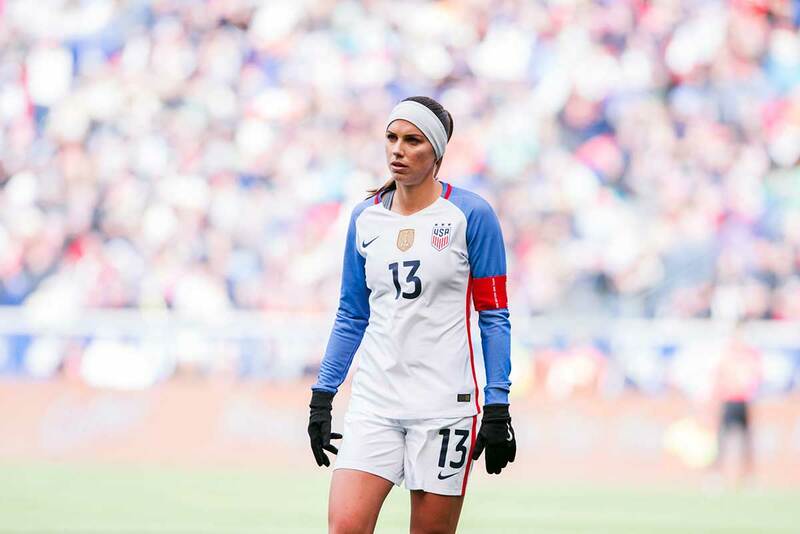 Alex Morgan wearing the captain’s band at the 2018 SheBelieves Cup. USA’s Mallory Pugh takes on France’s Griedge Mbock Bathy during the 2018 SheBelieves Cup. 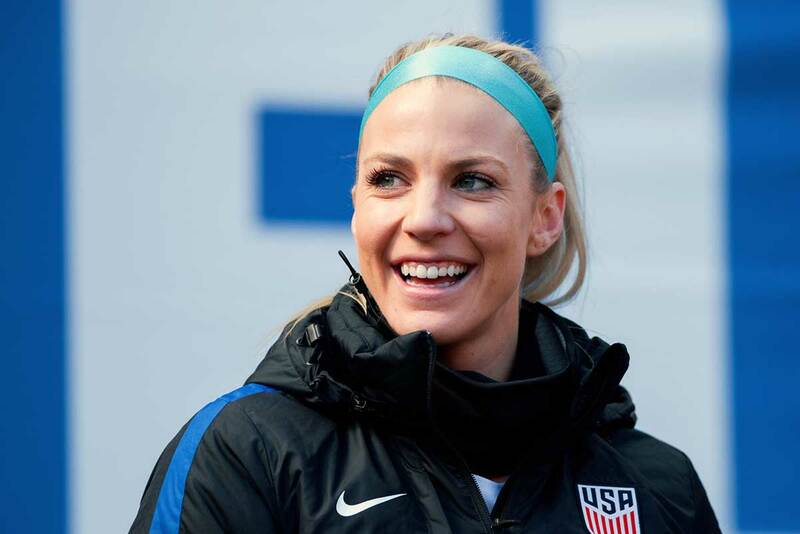 Julie Ertz during warm-ups at the 2018 SheBelieves Cup. 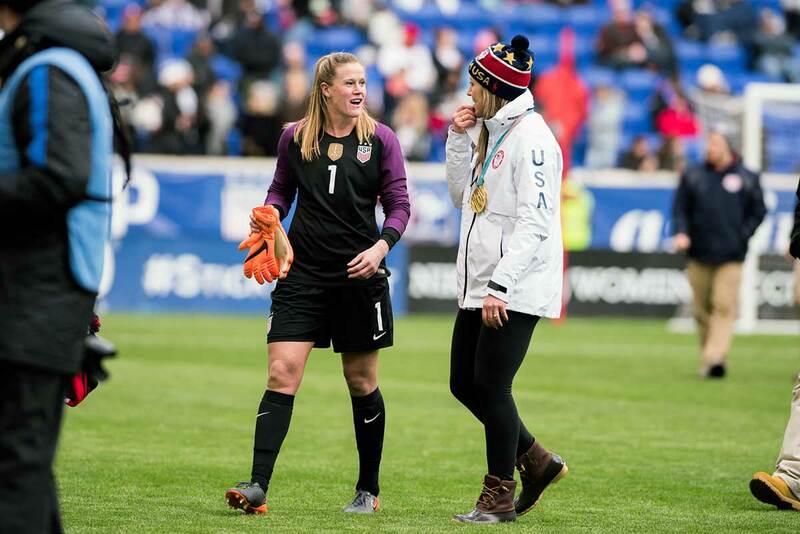 Alyssa Naeher and Meghan Duggan at the 2018 SheBelieves Cup. USA’s Christen Press during warm-ups at the 2018 SheBelieves Cup. 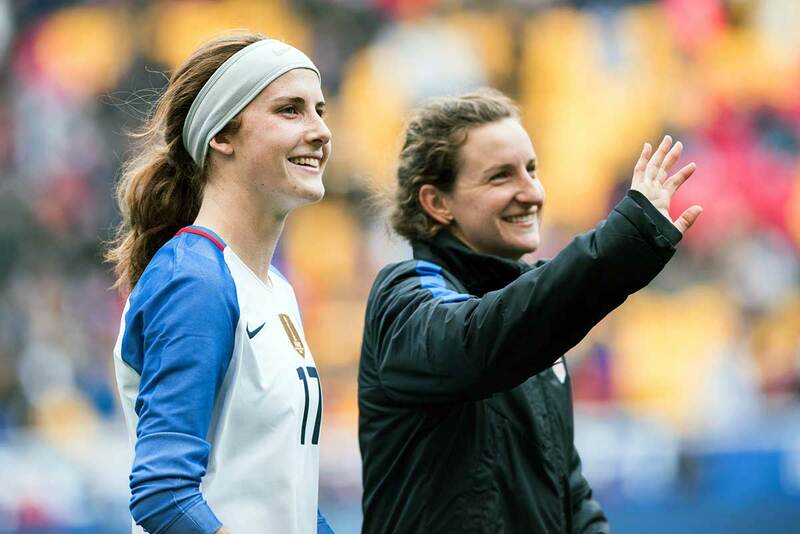 Tierna Davidson and Andi Sullivan at the 2018 SheBelieves Cup. Six on Six crime. 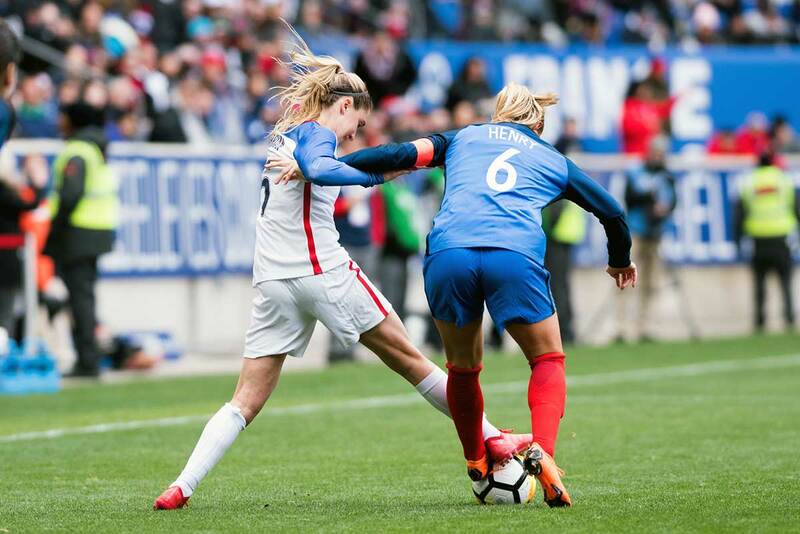 USA’s Morgan Brian and France’s Amandine Henry battle for the ball during the 2018 SheBelieves Cup. 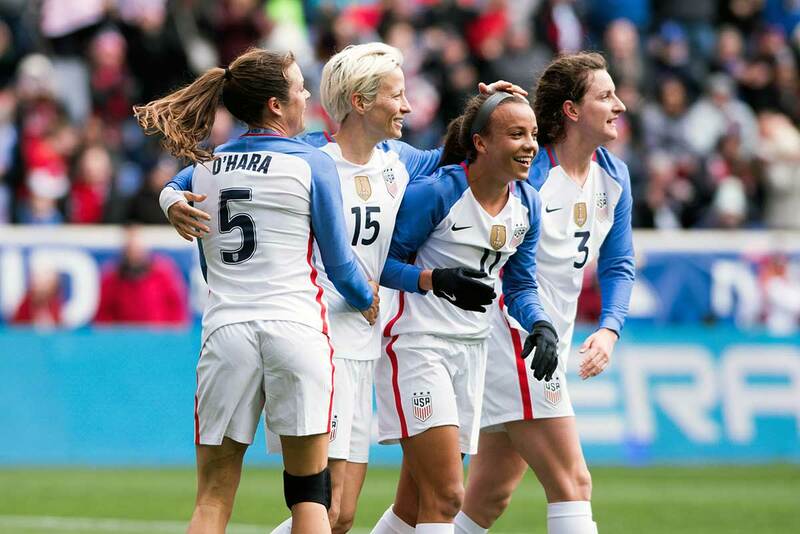 Kelley O’Hara, Megan Rapinoe, and Andi Sullivan celebrate Mallory Pugh’s goal (11) during the 2018 SheBelieves Cup. 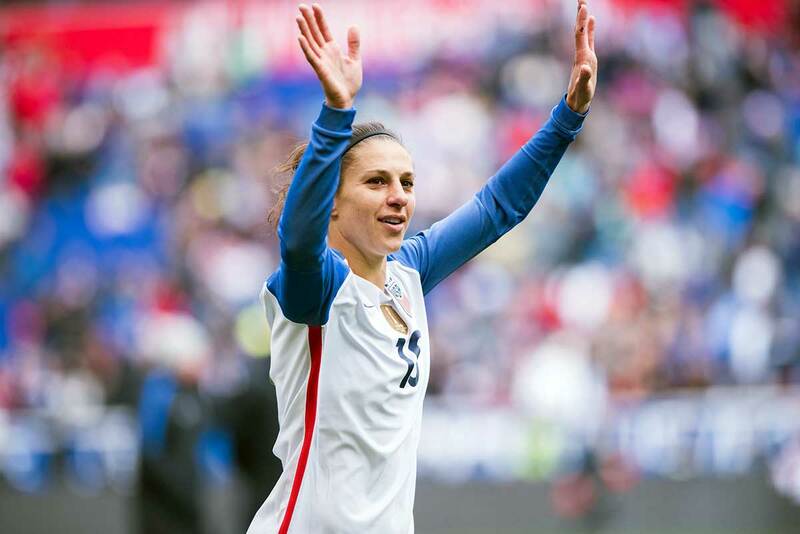 Carli Lloyd during the 2018 SheBelieves Cup. 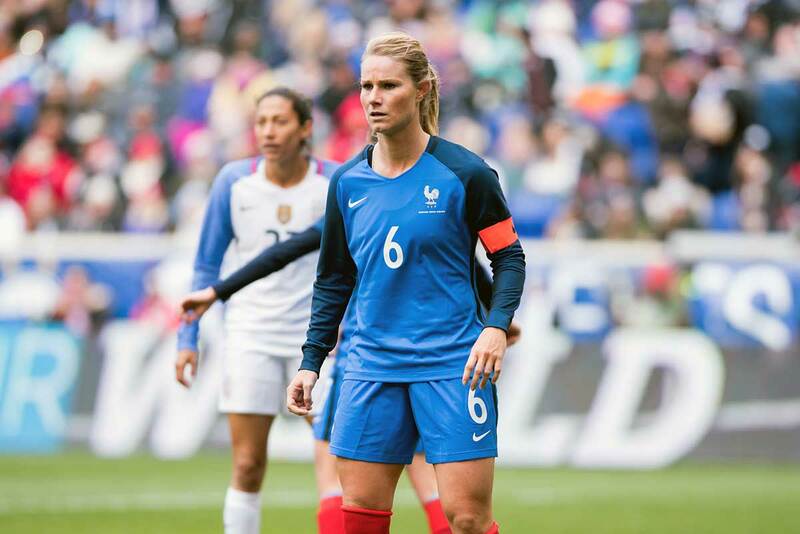 France’s Amandine Henry during the 2018 SheBelieves Cup. 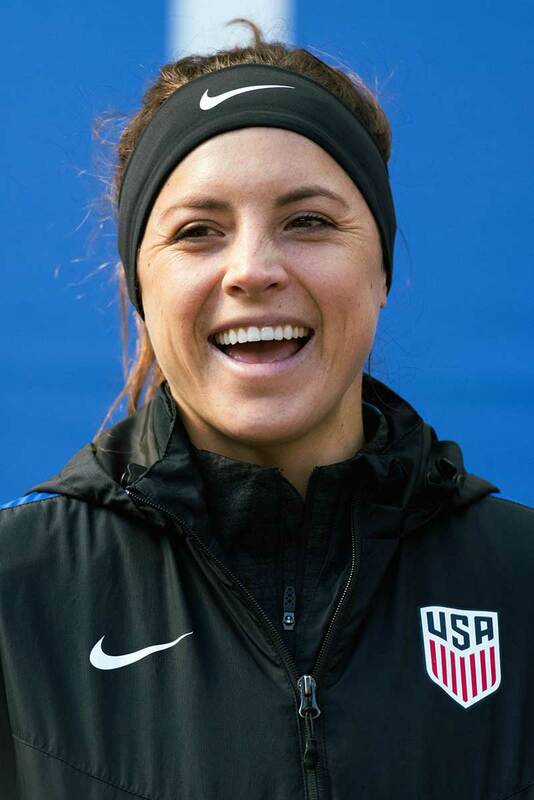 USA’s Casey Short during warm-ups at the 2018 SheBelieves Cup. 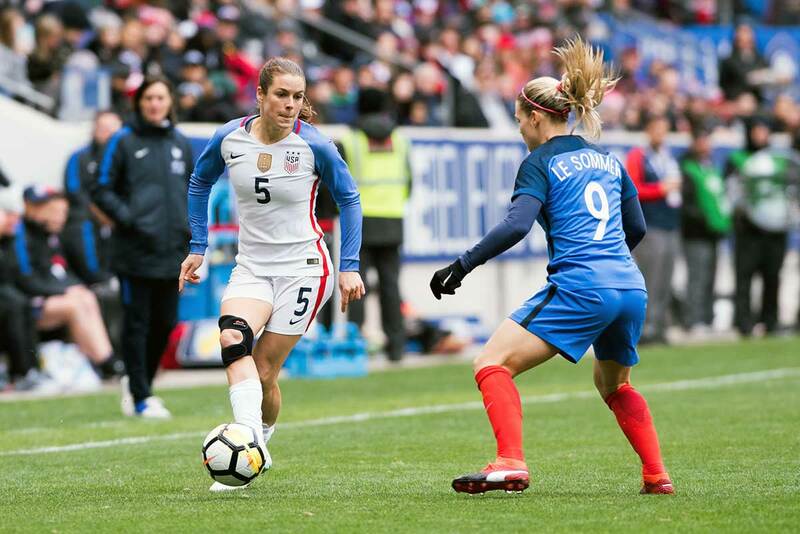 USA’s Kelley O’Hara takes on France’s Eugénie Le Sommer during the 2018 SheBelieves Cup. 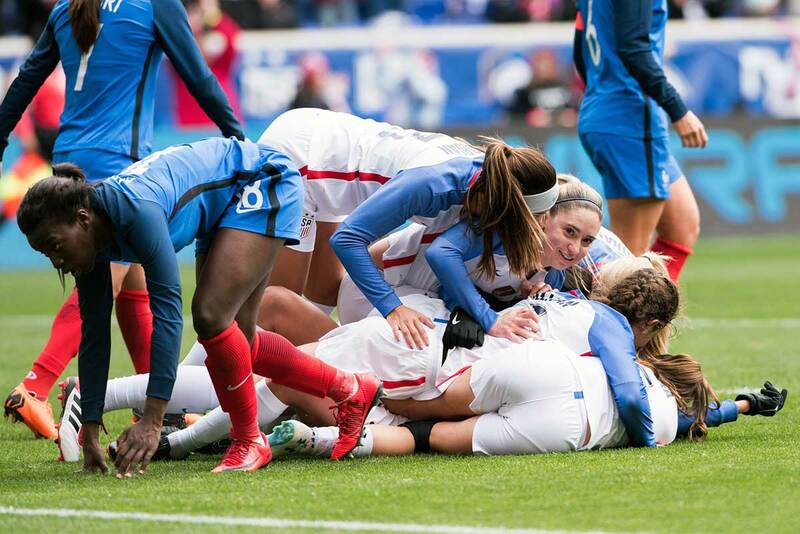 The U.S. Women’s National Team celebrates after a goal at the 2018 SheBelieves Cup. We see you, too, Moe. USA’s Alyssa Naeher during warm-ups at the 2018 SheBelieves Cup.